If you've been performing at Bushwick's open mics but want to take your storytelling, comedy, fiction, or poetry set to the next level, check out this awesome opportunity from Ildewild, the bar formerly known as The Bodega. Every second Sunday of the month at 8 p.m., Ildewild will revive its old series called "The Bodega Bruise Storytelling Show." 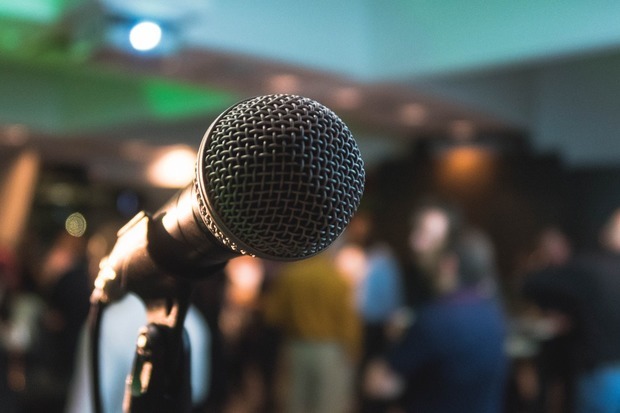 Performers will have 5 to 7 minutes to showcase their craft, whether that means telling some killer jokes, reading from their newest chapbook, or anything else, really. Organizers stress that "anything performative/literary goes except baseless hatred, which will be thrown out (and probably be punched in the face) if it ever sneaks onto the stage." All you have to do is email to get on the lineup. For those who don't remember, The bodega changed their name to Idlewild after receiving a full liquor license back in June. So if you need a little liquid courage before you make your way up to the stage, your options have expanded significantly. Retooled Bushwick mainstay serving beer, wine, and liquor to accompany tasty Burmese bites. Follow Idlewild on Facebook and Twitter.